Yet another wonderful numbers puzzle from Alok Mittal’s Mathematical Circles class. Not too difficult, and yet a lot of fun! Take 10 cards of the same suite from Ace (A) through 10, i.e. essentially numbers 1-10. 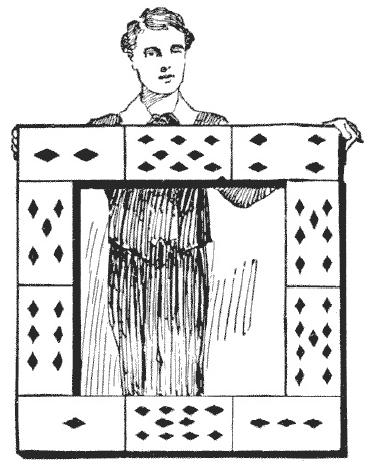 Using each card exactly once, construct a card frame (like the one shown below), where each side adds up to the same number. This entry was posted in Puzzles and tagged Alok Goyal, Cards Puzzles, Numbers puzzles. Bookmark the permalink.